Year charms and graduation year tassel charms from Honors Graduation come in gold or silver metallic colors, with different size options and years that go back, so past graduates can fix their graduation tassels. Tassels are worn by students all over the world on a graduation cap during their commencement ceremony. They are also frequently displayed together with photos or diplomas in a frame, or hung from a car rearview mirror. These same tassels and year charms can also be used for a hundred other purposes. Have students that need graduation year charms for an upcoming event? If you work with an educational institution, need to obtain a large quantity of year charms, or have special purchasing restrictions, don't worry, we've got you covered! We accept purchase orders and all major credit cards. PO instructions can be found during the order process. We have year charms for past years - 2014, 2013, 2012, 2011, 2010, 2009, 2008, 2007, 2006, 2005, 2004, 2003, 2002, 2001, 2000, 1999, 1998, 1997, 1996, 1995, 1994, 1993, 1992, 1991, 1990, 1989, 1988. Regardless of which graduation year charm you need, you can be reassured that Honors Graduation will provide you with a beautiful product, and in a timely manner! 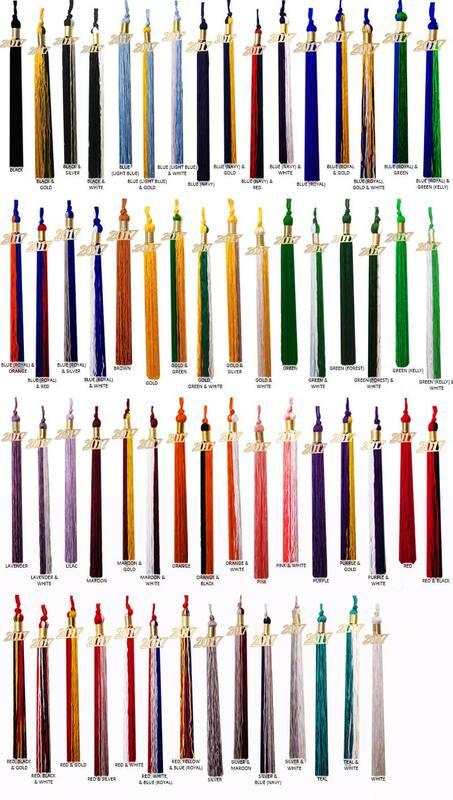 These high quality zinc alloy charms come attached to rayon tassels in any color you choose from our wide selection. At high school or college reunions, they would make for thoughtful souvenirs for each graduate in attendance, as well as lovely accessories to the decorations. This option is made even more practical for your budget when you take advantage of our terrific bulk discounts. Alternatively, if you are contemplating creating a more individual keepsake to memorialize your college or high school years, our graduation tassels and charms would make a perfect addition to your display! Whatever your use for these graduation year charms, let Honors Graduation help you keep celebrating the achievements of graduation!